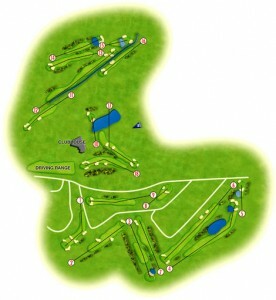 Baviera Golf Course was designed by professional golfer. José María Cañizares, an internationally renowned sports man whose achievements have included five tournaments of the European circuit and two world championships, as well having competed in the Ryder Cup several times. Located along the outskirts of Sierra de la Almijara east of Malaga. Baveria golf course is characterised by its wide fairways, water hazards and bunkers which make this course a challenge for golfers of all levels. The variety of holes and the unsurpassed views both to the Mediterranean sea and the mountains contribute to make you enjoy and an unforgettable round. Area for cleaning shoes, trolleys, etc.